You are here: Home » Your Facebook questions answered: Does gluten disrupt hormones? “Have you heard of this: “Here’s a fact: Gluten has been shown to disrupt the endocrine system affecting the production of hormones in both men and women. Do you have a hormonal imbalance due to gluten?” asks Enlightened Eater Facebook fan, Jennifer Burnham. Jennifer, I’m always amazed at the confidence of health professionals who believe that their opinions about various issues are indeed facts when the scientists researching the topics may only have theories and not definitive answers. It is true that some studies have found a link between undiagnosed celiac disease and infertility and miscarriage and that eliminating gluten for these individuals can lead to a healthy pregnancy. Other research, though, has not found this association. But, in any case, the connection between infertility and gluten does not mean that gluten disrupts the endocrine system affecting the production of hormones in both men and women. That is a giant leap in thinking. For those with celiac disease, consuming gluten increases the production of antibodies and inflammatory compounds, all of which can cause damage right through the body. In the gastrointestinal tract, the result can range from pain, bloating and diarrhea or constipation to poor nutrient absorption. In the brain, depression and/or anxiety can result while joint pain may be the consequence for some. As for the exact mechanism that can lead to infertility and other negative pregnancy outcomes for those with celiac disease, scientists don’t yet have the answers. They’re also investigating the issue in those with non-celiac gluten sensitivity, a relatively new category of gluten intolerance which is thought to affect about 5% of the population. 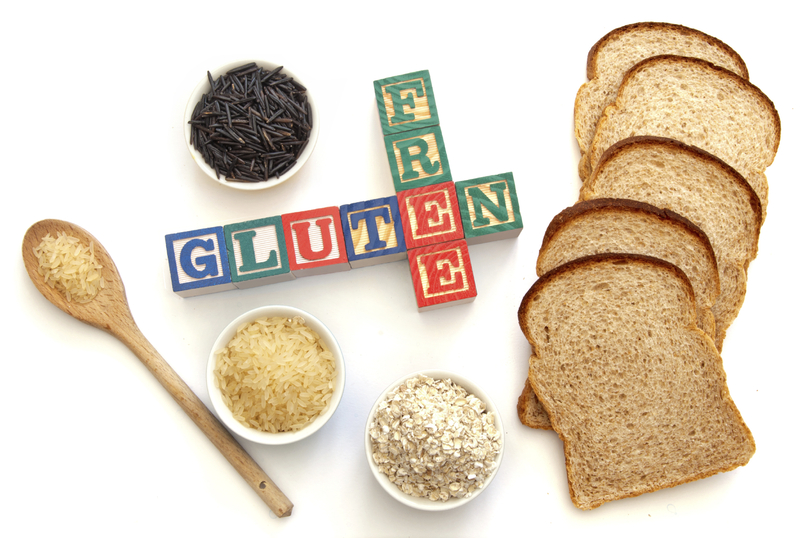 A just published journal article entitled, ”Non-coeliac gluten sensitivity and reproductive disorders” highlighted a case where a gluten-free diet for both partners may have been the treatment for a couple’s infertility. But again, the scientists looked to inflammatory compounds as being the culprit. If you put together, the 1% of the population with celiac disease and the 5% with non-celiac gluten sensitivity, that adds up to a mere 6% of all people and even then, not all have problems with infertility. But the Facebook post would have you think otherwise when it asks, “Do you have a hormonal imbalance due to gluten?”. To be honest, when I read the post, I checked out the website to see what supplements they were selling, and lo and behold, words such as “Hormonal imbalances, menopause, and other metabolic imbalances” were used to promote various products. One product called PuraDyme: LiyfZyme (at a cost of $149.95) states it is a “Proteolytic enzyme for inflammation reduction” and “converts carbohydrates, sugars and starch into usable energy.” Most people can convert carbs into usable energy, no problem. We convert it a little too easily I would say. Another of their supplements “converts protein into amino acids”. Last time I checked protein was made up of amino acids and didn’t need to be converted. All I can say about statements such as the above and the websites which make these statements is: give me a break.